Hogmanay. Yes, that’s a real word. Lesser folk may refer to it as “New Year’s Eve”, but in Scotland, Hogmanay is the true celebration and it is world-renowned. On a scale of one to amazing, Hogmanay is off the charts. People fly from around the world to partake in this three-day extravaganza…and that’s despite the notoriously terrible Scottish weather! Here’s the quick and dirty for an overview of what’s included at Hogmanay in Edinburgh. I’ll post more as the event approaches, but for now, begin planning your trip because this is one of those festivals you simply cannot miss. Also, begin planning now because accommodations fill up quickly! Tickets sell out to most events and restaurant reservations will be practically impossible come November. Events begin on December 30th with the Torchlight Procession. I highly recommend you either participate or at least watch this event. It is magical. Last year, the streets of Edinburgh were filled with around 40,000 participants – about 10,000 of whom were carrying torches (guys, the real flame kind, not flashlights…which are called torches here but that’s another topic altogether). A procession beginning on George IV Bridge winds down to Princes Street and up Calton Hill in an annual celebration to welcome the new year. A massive bonfire is lit, followed by fireworks because this city adores fireworks! The Street Party is the main event, with multiple stages set up featuring varied genres of music. Alongside the Street Party, you’ll find the Concert in the Gardens. This is the headliner stage, featuring Paolo Nutini this year, which is why you need separate tickets to attend. You can choose from the general garden area (grass) or the enclosure (hard ground in front of the stage). The Old Town Ceilidh (say kay-lee) is a dance scene like you’ve never seen before. Held on the Royal Mile, enjoy traditional Scottish music and dance, learning as you go from other dancers and instructions provided on stage. It’s not the most graceful of dancing given the cobblestones, drinks, and high number of foreign newbies. However, the experience will leave you lightheaded from endless laughter and constant twirling with abandon. For those seeking a more civilized evening, the Candlelit Concert in St. Giles’ Cathedral could be the ideal start to your evening of celebrating. It begins at 6pm, which would lead directly to a dinner reservation if you plan well in advance (seriously – restaurants are already booking for Hogmanay!). And, finally, the fireworks. In Edinburgh, we believe in the magic of fireworks for all occasions. We believe in their power so much that we actually set them off every hour on the hour starting at 9pm during Hogmanay. That’s four rounds of fireworks, in case you’re counting. The grand finale will blow you away, but the hourly show should not be dismissed! In your revelry, you’ll likely not notice the time until the booming reminds you of the top of the hour. Take note, find your bearings, and enjoy. 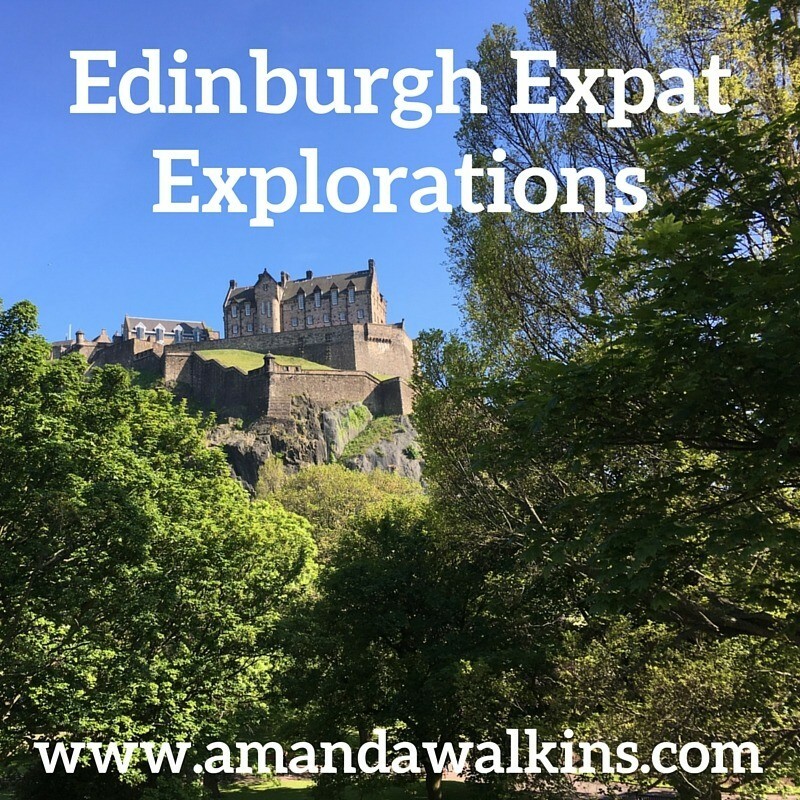 They are set off from Edinburgh Castle, so you can actually see them from hundreds of vantage points around the city. Stoats Loony Dook. Given how bizarre each of those words is alone, you can guess their combination doesn’t bode well. As is tradition in most northern climes near water, those who are insane “brave” enough to plunge into the River Forth will do so in South Queensferry. A parade through town leads to the stony beach, where loony people in fancy dress (that’s British code for costumes) test human limits. Y’all are cray. For an alternative idea with more arts, music, storytelling, and a complete lack of freezing water, check out Scot:Lands. Twelve venues hosting some of Scotland’s celebrated artists offer a culturally unique follow-up to your evening of debauchery. Throughout the day, you’ll be randomly assigned venues to explore. You can stay for a while if you love it, or leave right away if it’s not your style. Get a new venue and off you go again! Venues are compact within Old Town, so you can easily visit all 12 with only a few minutes’ walk between each. The Final Fling is new to me, but another opportunity for a ceilidh should always be embraced! Held at the National Museum, this is your last hurrah to celebrate New Year’s Day itself. While the Hogmanay events are specifically December 30-January 1, Edinburgh’s winter festival season actually extends from November 18-January 7. Come early or stay late around Hogmanay to enjoy outdoor markets, an outdoor skating rink, and even a pop-up theatre (did you even notice I used the UK spelling there? I’m so local now!). If you’re going to watch the Torchlight Procession, choose a vantage point early so you can be up front on the sidewalk. Along Princes Street you’ll find much more space than anywhere near the starting point at George IV Bridge. Wherever you stand, you don’t want to miss the very beginning of the procession! Last year, there were precisely 26 Vikings from Shetland’s Up Helly Aa Festival. Vikings. Torches. Bagpipes. Don’t miss it. If you purchase tickets to the Old Town Ceilidh or the Concert in the Gardens, you can also access the Street Party. The reverse is not true. Also, if you exit either the Ceilidh or the Concert, you cannot re-enter. Take note! Loony Dook is literally insane. That’s all I can say about that one from afar. Maybe this year I’ll go watch the insanity in person…maybe. Learn more of the words to Auld Lang Syne. While it’s the traditional NYE song around the world, it’s a bigger deal here because it was actually written by a Scot (Rabbie Burns, on whose birthday we were married!). Try to learn more than just the first two lines to join the thousands around you in this annual tradition. That’s all for now, folks! If you think you might want to come to Hogmanay in Edinburgh this year, now is the time to make a decision. Tickets are already on sale and will sell out well before the event. Restaurants are already taking bookings. Accommodations will be full. Don’t be that guy sleeping in the train station because you got priced out of all the affordable places to stay. And, no, you can’t all crash on our couch…sorry. Hope to see you there!